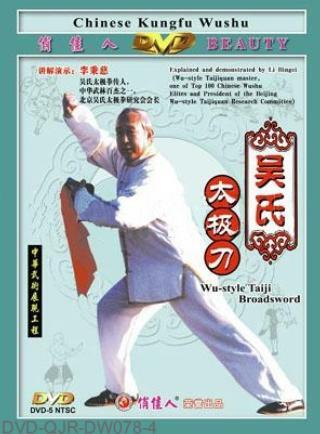 Taiji Broadsword is a kind of short weapon of the Wu-style Taiji series, so its style and characteristic should be used the requirement of body work and footwork as the standard. The movements of Taiji Broadsword are continuous, clear and smooth. During practice, you should emphasize the hardness with softness hiding in; the hands and broadsword should be coordinated well.